Joanna Weckman, MA, Graduate student in Aalto University. After graduating from the University of Art and Design in Helsinki she has worked as a freelancer costume designer for theatre, dance and opera. 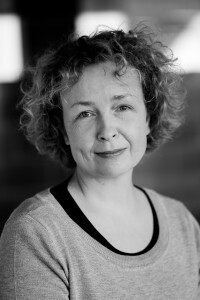 She is visiting lecturer in Costume Design, Department of Film, TV and Scenography in Aalto University, and has written several articles on the history of the costume design work and of costumes for stage and film. Currently writing a dissertation on actor-costume designer Liisi Tandefelt’s costume design work from 1958 to 1992. Visiting researcher and curator for costume exhibitions at the Theatre Museum in Finland.